Healthy diet for ballet dancing? To: - Healthy diet for ballet dancing? Thank you for your submission. It's important for dancers to eat healthily as our body is our tool so we have to look after it by supplying it with the right food. Eating complex carbohydrates such as jacket potatoes, pasta and brown bread are good at supplying energy and keeping you fuller for longer. I'd also recommend eating lots of fruit and vegetables. Nuts and dried fruit are great to have as a healthy snack if eaten in moderation. How Do I Keep Healthy for Ballet Dancing? i was just wondering what is the healthy weight for a 13 year old 1m60cm dancer ? and what i should eat to stay healthy 4 my ballet ? To: - How Do I Keep Healthy for Ballet Dancing? Thank you for your submission. It's very sensible for you to start to think about how to keep healthy as a dancer. There is something called the BMI calculator which is a good way to check if you are a healthy weight. BMI stands for Body Mass Index and it can measure whether you are a healthy weight for your height. You can easily find a site online to do this. A few great ways to stay healthy for ballet is to drink plenty of water, always re-fuel after long classes or rehearsals, and make sure you eat enough of the right foods which will give you enough energy to dance. 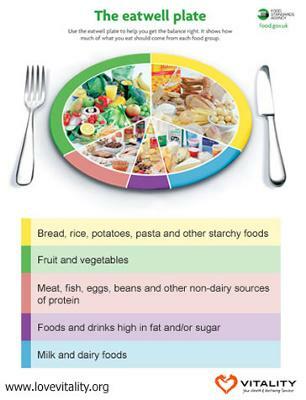 It's more beneficial to eat plenty of fruit and vegetables, complex carbohydrates, whole grains and lean proteins. Eating little and often has always worked for me! It's great you've become aware of how to stay healthy and in time you will find what works best for you. It's easy to become too obsessive over this subject matter, but it's always best to have a positive outlook on the subject of health and nutrition. I always think a healthy dancer makes a happy dancer!